Superdry women’s Gym Tech USA crop crew sweatshirt. Look and feel great while working out this season, with thermal properties this piece is ideal to wear either during your workout or post workout to meet your friends. It also features a ribbed collar, cuffs and hem (for added comfort), stripe detailing down both arms and large USA logo across the chest. 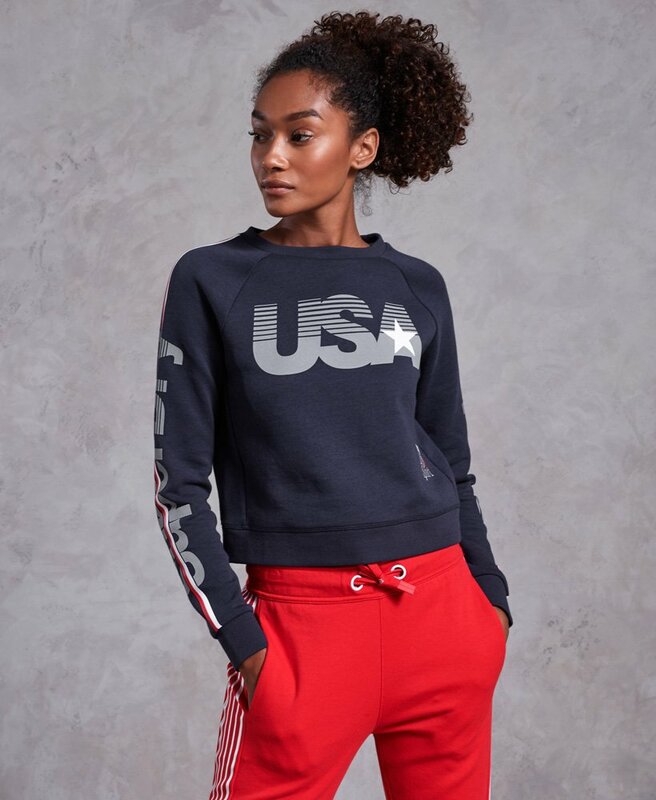 The Gym Tech USA crop crew sweatshirt is finished with a selection of reflective logos, helping to improve your visibility in low light and a rubber Superdry Sport logo badge on the sleeve.